Goa:Amidst excitement and vigour, Goafest 2019 – presented by Viacom18 and powered by MX Player was flagged off today in Goa’s Grand Hyatt. The first half of the day began with lighting of the lamp, followed by the industry conclave and Publisher & Media ABBYs. 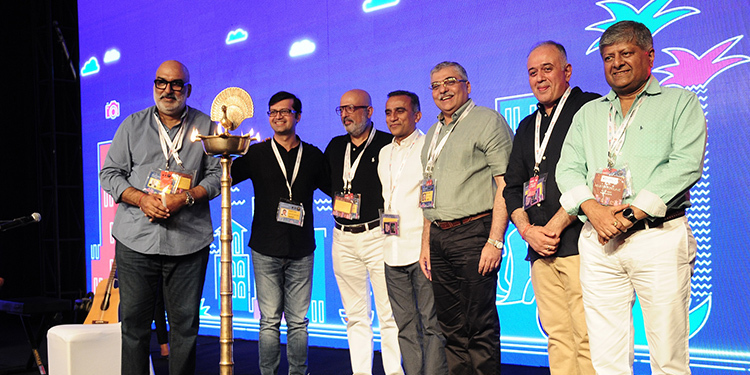 Day 1 at Goafest 2019 kicked off true to tradition with the lighting of the inaugural lamp by Group CEO & MD – Viacom18, Sudhanshu Vats,Mr. Ashish Bhasin – President of Advertising Agencies Association of India (AAAI), Mr. Nakul Chopra, Chairman – Goafest 2019, Shashi Sinha – Chair of the Awards Governing Council, ABBY Awards 2019, Vikram Sakhuja – President, The Advertising Club, and Jaideep Gandhi – Chairman Industry Conclave.